I’m not sure if Doc-in-Box is Service Retail, but this elegant Elegant Bellboy Call Button at Urgent Care cried out for fixture news coverage. Whether for an emergency need or just front Desk service a tap or two would wake the dead and get staff scurrying. 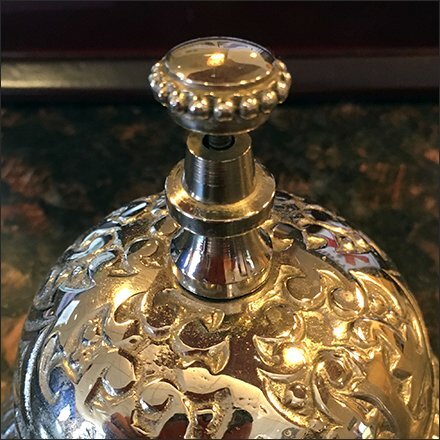 And how much more gentile than clients and customers shouting “A little help please.” This Elegant Bellboy Call Button at Urgent Care is a simple but upscale solution.